Growing roses doesn’t have to be intimidating. Learn how to fertilize roses the easy way for beautiful blooms all growing season! When we purchased our home in Georgia last summer I was so excited to start working in the yard. 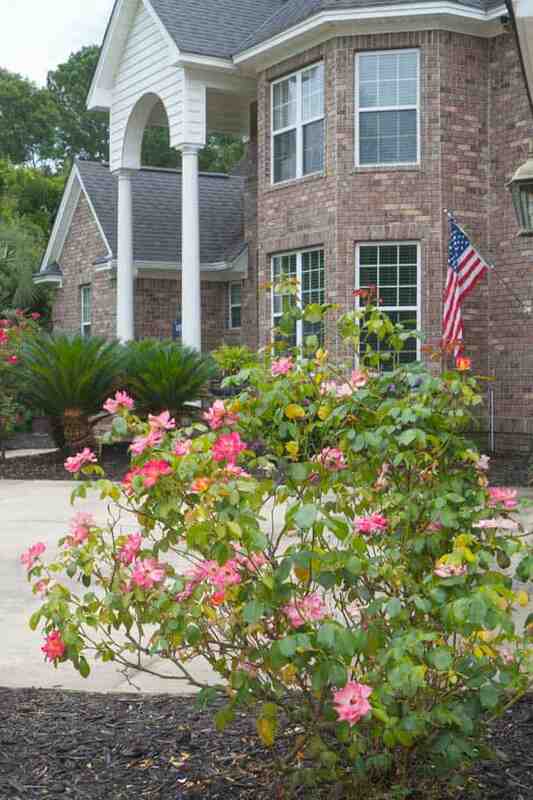 Whoever built our home had done an amazing job with the landscaping-there is always something in bloom year-round, and we had hydrangeas and roses everywhere! It was bliss coming from the military life where everything I’ve grown for years has been in containers. As I cared for the roses (and added new ones to the yard) I learned a ton about how to fertilize roses and wanted to share it here. 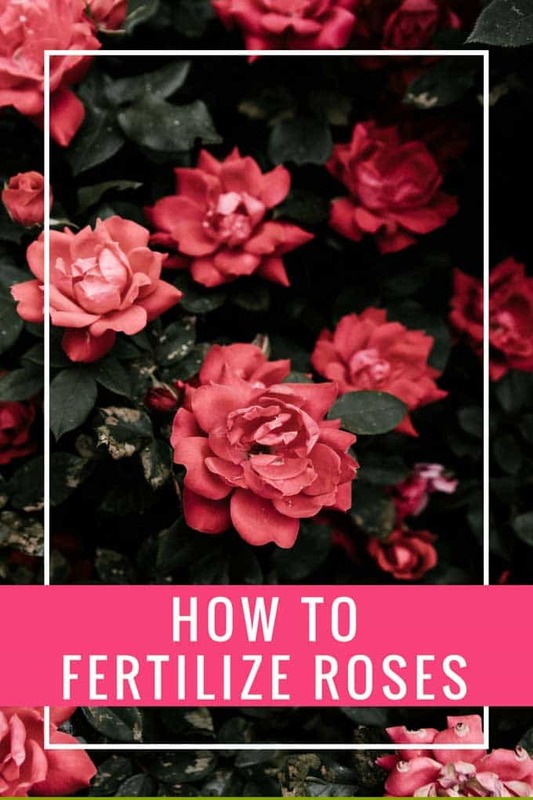 Roses can survive without fertilizer but to truly let them thrive and show their stuff you absolutely have to learn how to fertilize them properly. What Nutrients Do Roses Need to Grow? While hardy varieties of roses can grow unattended, most roses will benefit greatly from a little help. Promotes healthy green growth. Nitrogen is a component of all proteins and because water washes it away from the root zone, roses require a consistent supply. It is needed to build chlorophyll and allows the plant to use light to turn water and carbon dioxide into sugars to feed itself during photosynthesis. Too much nitrogen and you produce lush plants with few or no blooms. Too little nitrogen and the rose will have yellow leaves, no new growth, and small pale roses. Phosphorus helps create strong roots and abundant flower production. Too little phosphorus will cause dull foliage, falling leaves, weak flower stems and buds that will not open. Also known as potash, potassium encourages vigorous growth. It helps when plants are stressed by disease or insect damage, drought and cold temperatures. Too little potassium will produce weak steams, poorly developed buds, and yellow edges on the leaves, which turn brown. Roses also need nutrients such as calcium, magnesium, sulfur, boron, copper, iron, manganese, and zinc. There are some things you can look for with your plants to tell if they are deficient in these such as yellow leaves with green veins can indicate an iron deficiency while leaves that are pale instead of a dark green can indicate low levels of manganese. Just like us, our roses need their proper nutrients! What is the Best Fertilizer for Roses? My research into rose fertilizer is a new thing for me. The year we lived in England I was very much interested in rose gardening and asked many people about it as we visited various botanical gardens. My experience before that had been limited to which type of Miracle-Gro to use! The biggest takeaway I had from experienced rose gardeners was to use a liquid fertilizer with plenty of water along with nice healthy soiled amended with manure or compost. Since moving to our new home last year I have been using this Fish Fertilizer and it is hands-down amazing. The Alaska Fish Fertilizer is a concentrate that you dilute before using on your plants. I love it because it’s organic, inexpensive, and has a 5-1-1 ration of those important nutrients we talked about above. 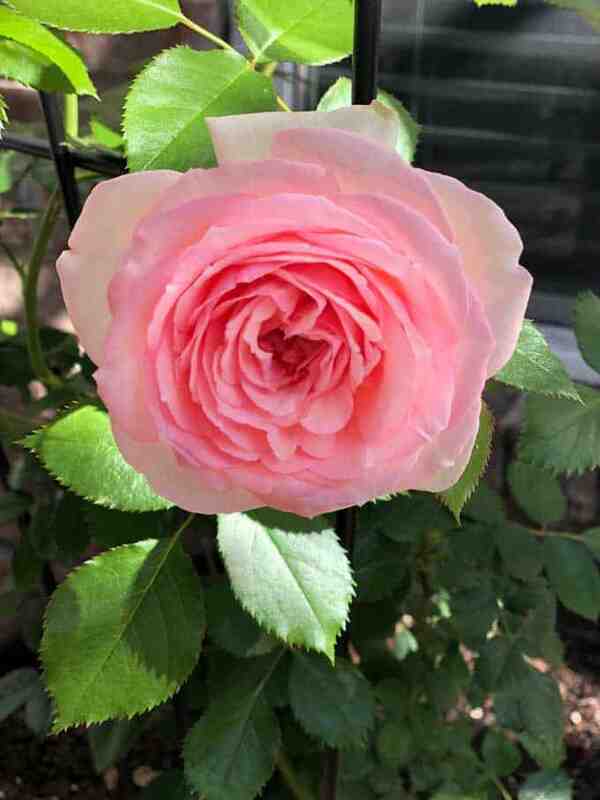 In fact, after seeing how amazing my roses reacted to it, I know use it on everything in my yard-all the flowers, new plantings, and my vegetable garden. I use it on a three-week rotating schedule during the growing season and you can literally see the flush of growth that happens within days of an application. Look at these blooms! Fertilize roses on a three-week schedule during the growing season for best results. The good thing about the Alaskan Fish Fertilizer is that it will not burn your plants so you’re not at risk of over-fertilizing but I’ve found the recommended 3-week schedule works well. Stop fertilizing your roses 2 months before your first frost so the newest growth has time to harden before the cold weather. So there you have it, my best tip for how to fertilize roses! Any other tips I should add to the post? I used the Alaska Fish Food the first year and then alternate between that and Miracle Gro bloom booster after that. The fish emulsion is the only thing I use the first year though. It won’t burn the plant.